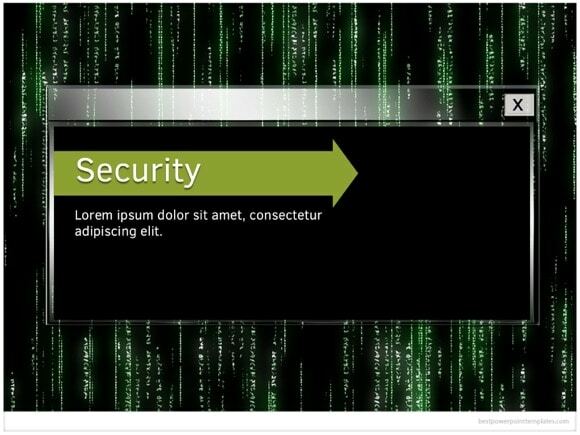 Computer Security PowerPoint template - FREE! 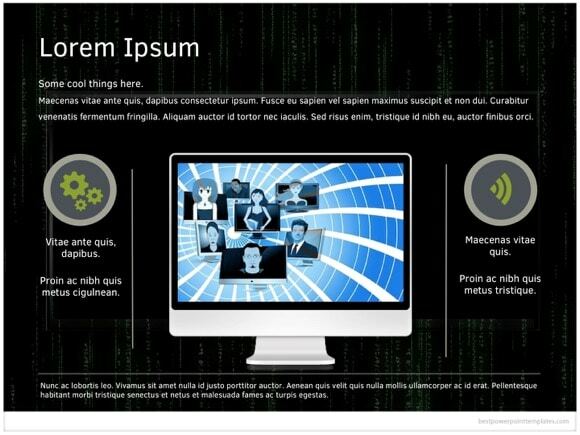 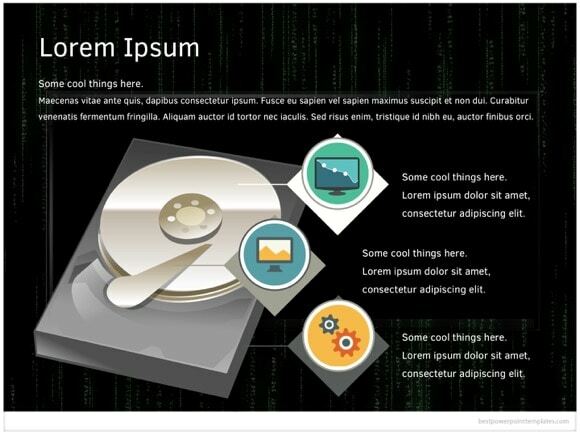 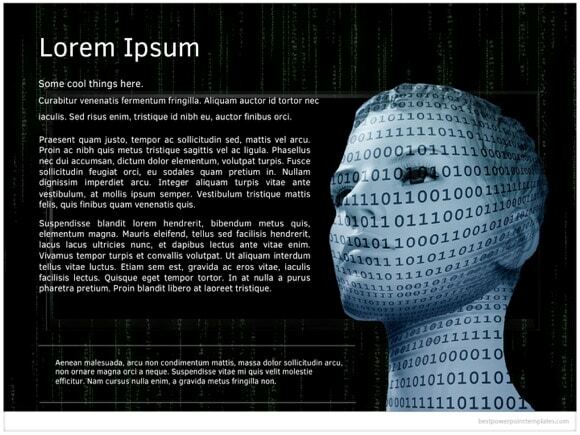 Free Computer Security PowerPoint template is good for all security-based PPT presentations. 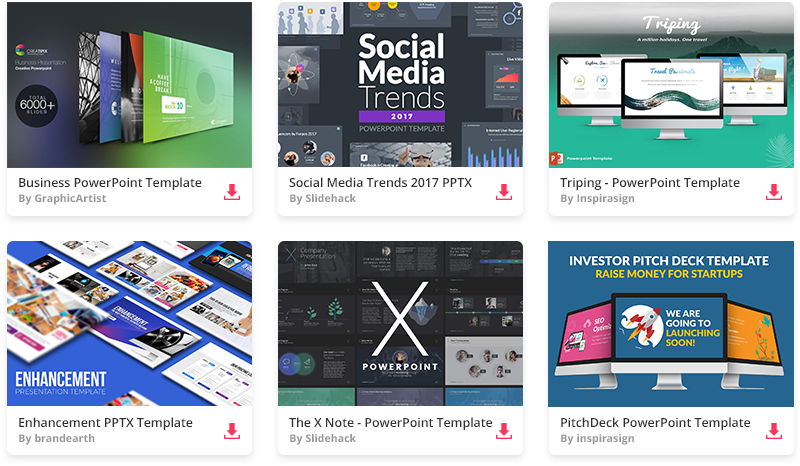 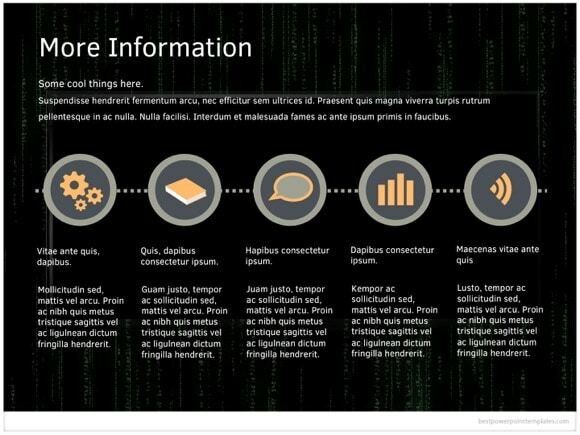 This free template may be used for a wide range of presentations about cyber security, information security protocols, computers and smartphones security and so on. 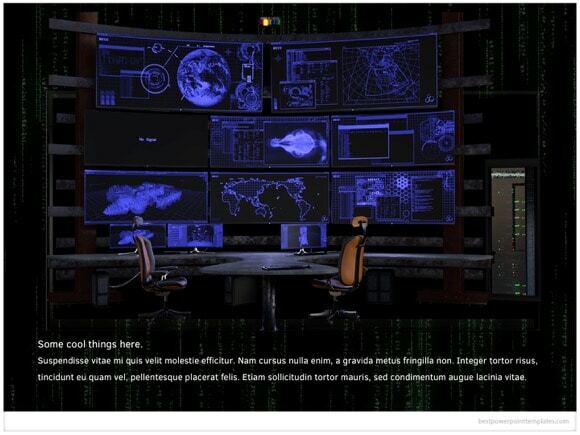 You can talk about private or public networks and their weak points of data security. 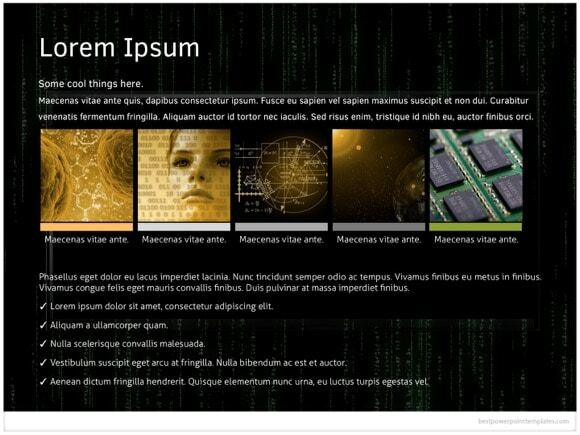 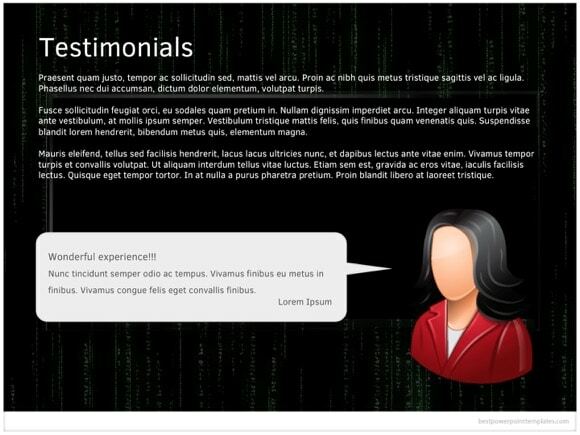 It uses cool matrix background theme, which will for sure impress your audience! 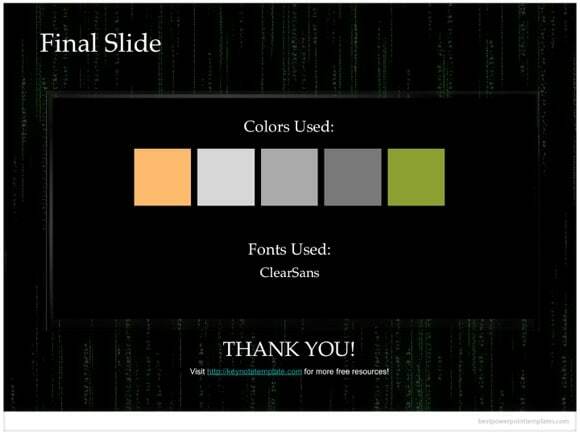 Download and enjoy free Computer Security theme and use it for any Microsoft PowerPoint presentation.